Wife of Albert Grossman and long-standing friend of Sara Dylan. She is the lady languorously stretched out on the cover of Bringing It All Back Home. 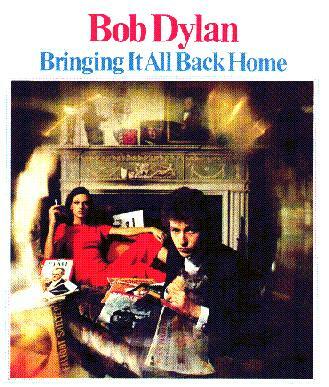 Maybe it was the shock of folkie Bob Dylan going electric on 1965's Bringing It All Back Home LP that had fans thinking the coolly glamorous woman with him on the cover was actually the troubadour in drag. "The runour was huge, and truly bizarre," marvels Sally Grossman, then the 25-year-old wife of Dylan's manager Albert Grossman. "I was around, and Bob just asked me to do it." The other rumour about the album was that the objects surrounding the twosome had great symbolic meaning. "Forget it," says Daniel Kramer, who took the photo in the Woodstock, New York, home where Grossman, 56, still lives. "We found different things and put them around." The chaise, though, was a wedding gift to the Grossman's from Mary Travers of Peter, Paul and Mary. As for the red jumpsuit, Grossman says, "I don't think I've worn it again." Now running Woodstock-based Bearsville Records, Grossman says, "It's amazing to be on an album cover that people remember 30 years later." 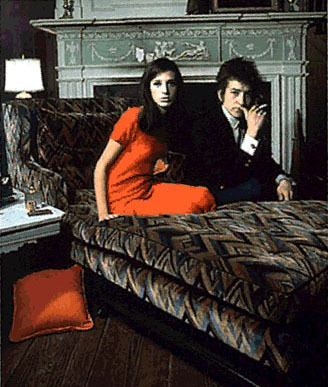 For his part, Dylan "thought we looked dynamic, like Elizabeth Taylor and Richard Burton."